Canon announces its second inauguration with the launch of the First Global Corporation Plan, which introduces the corporate philosophy of kyosei. Canon Research Centre Europe Ltd. is established in the U.K.
Canon Opto (Malaysia) Sdn. Bhd. is established. Canon Business Machines de Mexico, S.A. de C.V. is established. Nagahama Canon Inc. is established in Japan. Canon becomes the first Japanese company to qualify for an in-house certification system using the CSA mark (Canadian electrical safety standard). PC series personal-use copying machine production reaches 2 million units. The Color Bubble Jet Copier A1 is introduced. Sales of Canon’s optical disk system commence. Sales commence for the FAX 705, with Canon’s GENESIS digital image-processing technology. The RC-760 still video camera incorporating a 600,000 pixel CCD, the world's largest, is introduced. The Q-PIC floppy disk camera is introduced. 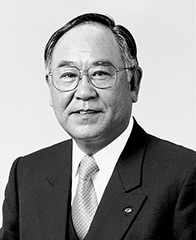 Keizo Yamaji is appointed president of Canon Inc.
Canon acquires equity in NeXT Inc. of the U.S., in exchange for sales rights for the Far East. Canon Dalian Business Machines, Inc., is established in the PRC. NP copying machine production reaches 5 million units. The CLC-500 color laser copying machine is introduced. The Ai Note IN-3000, a PDA with handwritten input capability, is introduced. The EOS-1, a top-of-the-line autofocus SLR camera, is introduced. The A1 (A1Hi in other regions), an 8 mm video camcorder with high-end specifications, is introduced. Canon forms the Environment Assurance Promotion Committee. Canon launches its toner cartridge recycling system. Canon Information Systems Research Australia Pty. Ltd. is established. Canon Information Systems R&D Europe Ltd. (today, Canon Research Centre France S.A.S.) is established. Canon Zhuhai, Inc. is established in the PRC. Canon Hi-Tech (Thailand) Ltd. is established. Niigata Canotech Co., Inc. (today, Canon Imaging Systems Inc.) is established. 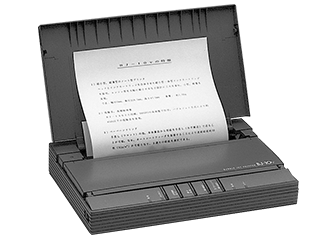 The NP9800, the world's first high-speed copying machine to incorporate fuzzy logic, is introduced. The BJ-10v notebook-size inkjet printer is introduced. The Canofile 250, an electronic filing system using magneto-optical disks, is introduced. The FPA-2000i1, an i-line stepper, is introduced. Canon wins the first Chairman's Award from the National Geographic Society for commencing the collection and recycling of toner cartridges. Canon succeeds in developing the world's first display based on ferroelectric liquid crystal display (FLCD) technology. The L1 (EX1Hi in other regions), an 8 mm video camcorder with interchangeable lenses conforming to the VL-mount standard, is introduced. Canon Seiko Co., Ltd. and Canon Chemical Co., Inc. merge to form Canon Chemicals Inc.
Canon Electronic Business Machines (H.K.) Co., Ltd. begins operations. Laser printer production reaches 10 million units. Toner cartridge production reaches 100 million units. Canon develops world's first 1-chip LSI featuring complete conformance with the JBIG (Joint Bilevel Image Group) advanced digital image compression scheme. Canon and the NHK Engineering Service Foundation jointly develop a high-speed camera conforming to the Hi-Vision format. The CLC550, the world's first copying machine with anti-forgery technology, is introduced. The GP55, a digital copying machine combining superior image quality with computer compatibility, is introduced. Sales begin for the NP6030 copying machine, with an ecological design. Canon’s first full-color inkjet printer, BJC-820, is introduced. The EOS 5, the world's first eye-controlled AF SLR camera, is introduced. The T10G-RF, a video camcorder lens with image stabilizer using Canon’s Vari-Angle Prism, is introduced. Hajime Mitarai is appointed president of Canon Inc. The Second Global Corporation Plan is initiated. Canon Group Environmental Charter is established. Copying machine production reaches 10 million units. Canon and IBM Japan, Ltd. jointly develop the world's first notebook-size personal computer with a built-in printer. 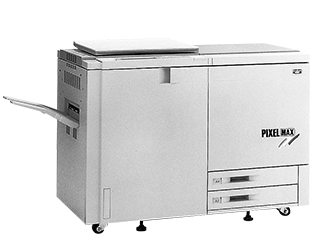 The Pixel Jet S, a full-color inkjet copying machine, is introduced. The EOS REBEL XS (EOS 500 in other regions), a lightweight, compact SLR camera with built-in flash, is introduced. 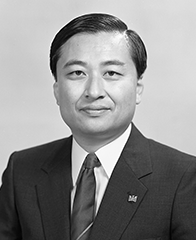 Canon and IBM Corp. of the U.S. form tie-ups for the development and production of small computers using the PowerPC range of chips. The 5,000th mask aligner is produced. Inkjet printer production reaches 10 million units. The Japan Institute of Invention and Innovation rewards Canon with the Imperial Award for Innovations for its Bubble Jet printing system. The world's first automatic-duplexing color laser copying machine, the CLC800, is introduced. The Movie Boy E1 video camcorder with eye-controlled focusing and optical image stabilizer is introduced. 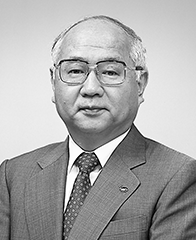 Fujio Mitarai is appointed president of Canon Inc.
Canon forms the CS (customer satisfaction) Promotion Committee. Canon, in a first for a Japanese company, earns certification under the BS7750 international environmental standard for its Ami and Ueno plants. Custom Integrated Technology, Inc., a remanufacturing site for copying machines, is established in Virginia, U.S.A.
Toner cartridge collection reaches 10 million units. After a 34-year hiatus, Canon reenters the binocular market with its 12 x 36 IS model, which compensates for hand-shake by incorporating Canon’s Vari-Angle Prism. Canon’s first digital SLR camera, EOS DCS 3, is introduced. The world's first FLCD is commercialized. The EF75-300mm f/4-5.6 IS USM, the world's first camera lens with image stabilizer, is introduced. 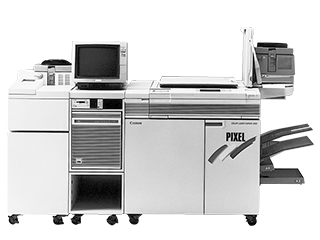 The CLC1000, a high-speed, full-color copying machine with four photosensitive drums, is introduced. The SURE SHOT DEL SOL (PRIMA SOL in other regions), the world's first fully solar-powered camera, is introduced.